It’s nearly that time of the year again. Most year 12 students have had their trials and I would say the stress of the HSC is firmly on the shoulders of all students and parents. It’s nearly party time where the boys and girls get dolled up and enjoy their end of school celebrations. Formal season is big news in the hair and makeup industry, and its a chance for us all to contribute to the celebrations of our graduating students. 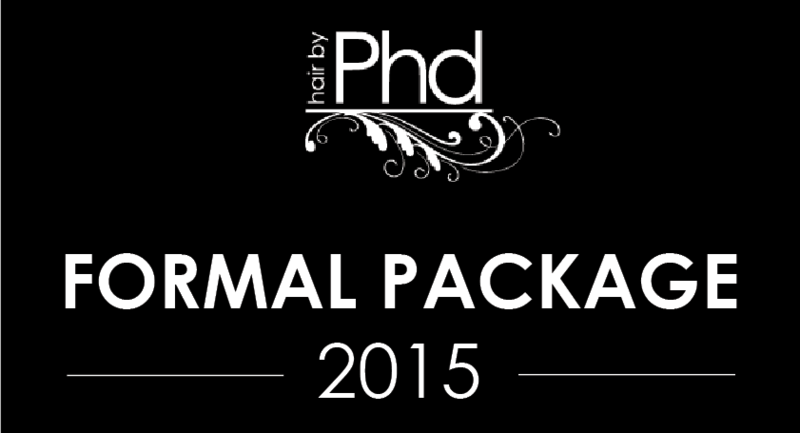 Last year we showed you some of the hottest looks for formal hair, many of which still ring true this year. We also always have a Pinterest Inspiration board of our favourite formal hair looks, which we love using to create the perfect look for each of our students. PLUS Book yourself and 3 other friends together and get a $100 movie voucher to have a night out at the movies on us!! *Formal Package must be paid for at time of booking. Full refund will be given with 7 days notice of cancellation. No refund if cancellation is given within the 7 days. Schools Out – Why choosing a career in hairdressing might be for you!